Pittsburgh Post-Gazette – The Three Rivers Mothers’ Milk Bank has outgrown its name. 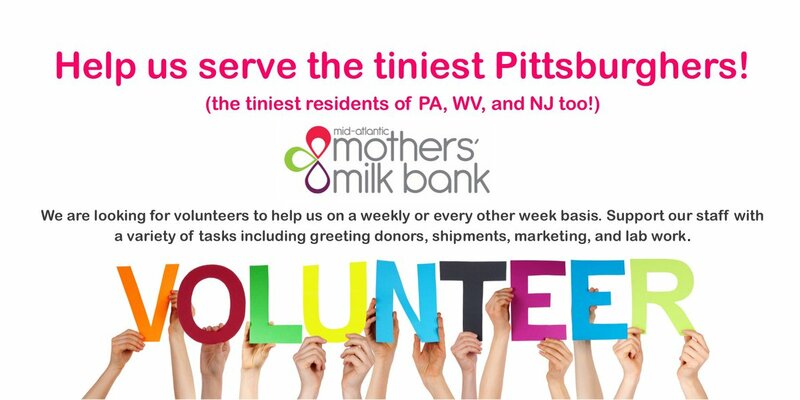 The facility in the Strip District is now the Mid-Atlantic Mothers’ Milk Bank, supplying donated breast milk to 20 hospitals in Pennsylvania, West Virginia, Maryland and New Jersey. The milk bank made its first deliveries less than two years ago, delivering donor milk almost entirely to the smallest and sickest babies at Magee-Womens Hospital of UPMC and Children’s Hospital of Pittsburgh of UPMC. Although breast milk is considered beneficial for all babies, it is recommended as the “standard of care” for many babies in neonatal intensive care units, particularly for its effectiveness in preventing a dangerous stomach infection called necrotizing enterocolitis. The American Academy of Pediatrics estimates that one case of NEC requiring surgery or resulting in death could be prevented for every eight infants receiving breast milk instead of formula. As word spread, the milk bank expanded its donors — mothers who undergo a blood test and screening questionnaire to give extra milk their babies don’t need — and the number of hospitals who wanted to use it. The milk bank has now distributed 180,000 ounces of milk received from nearly 550 donors — without spending a penny on advertising for donors, as word has spread on social media and via the medical community. In August, the milk bank set up its first donation site outside of Pittsburgh, at Excela Health in North Huntingdon. It set up another donor milk depot at the Lehigh Valley Breastfeeding Center in Allentown in September, and has plans for more. Donors out of the area can also send milk, which FedEx will pick up at their homes. Children’s Hospital of Philadelphia has the only other milk bank in Pennsylvania but uses all of its milk in-house, so the Mid-Atlantic Mother’s Milk Bank serves the non-CHOP hospitals in that region. While most of the Mid-Atlantic Mothers’ Milk Bank milk still goes to hospitals, about 20 percent of it now goes for outpatient use. Those using it have gone beyond just babies, from a 7-year-old with muscular dystrophy whose doctor recommended it for gastrointestinal issues to toddlers with medical issues such as spinal muscular atrophy. “Donor milk is a game changer for them,” Ms. O’Connor said. The milk also has been used to provide breast milk to adopted babies and to babies born exposed to opioids suffering from neonatal abstinence syndrome. A change in Pennsylvania Medicaid billing practices in August that added coverage for outpatient donor milk will allow the outpatient program to continue to grow, said Ms. O’Connor. Because older babies drink more milk than tiny preemies, the costs of feeding them can be astronomical without insurance coverage and state assistance. The milk bank charges $3.95 per ounce for the milk, to cover the costs of screening, pasteurization and processing. It also offers a sliding scale based on income for those paying out of pocket.